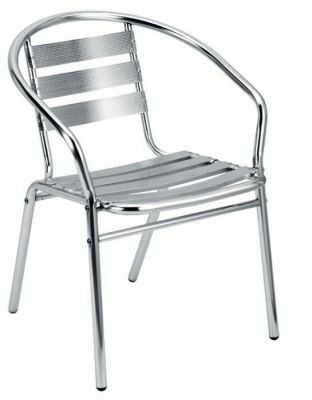 Outdoor Aluminium chair from the Plaza range. Great value for money, available from stock for a free next day delivery. Suitable for outside commercial use.